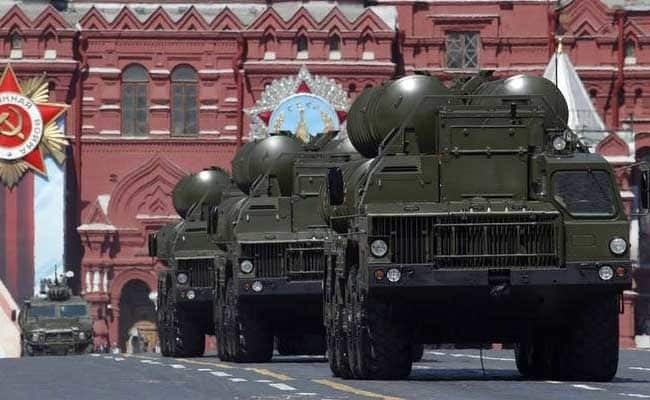 India's S-400 missile defence system deal with Russia doesn't have a "sovereign guarantee" as the process of inter-government agreements with countries like Russia and the US are already "streamlined", top Air Force officers said on Tuesday. The statement comes at a time when a controversy has erupted over a media report about the government having made concessions by allegedly dropping some key clauses relating to anti-corruption penalties and sovereign guarantee in the Rafale fighter jet deal with France. While opposition parties have raised questions about such clauses having been dropped, the ruling BJP and the government have rejected allegations of wrongdoing. Replying to a question during a press interaction on the Air Force's firepower demonstration Vayu Shakti 2019 at Phokran ranges later this week, Air Marshal VR Chaudhari, Deputy Chief of the Air Staff, said, "There is no sovereign guarantee in the S-400 deal with Russia." Vice Chief Air Marshal Anil Khosla said, "We have had a lot of acquisitions from Russians and Americans earlier." Russia in January had said there will be no delays in delivery of the S-400 air defence systems to India and a payment mechanism for the deal is being worked out. Russian Deputy Foreign Minister Sergei Ryabkov, during his India visit, had said the missile systems will significantly enhance India's air defence capability. The government had informed Lok Sabha earlier this year that it will start receiving the missile systems from Russia from October 2020 and the deliveries will be completed by April 2023.